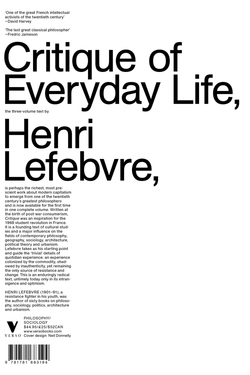 Henri Lefebvre's three-volume Critique of Everyday Life is perhaps the richest, most prescient work by one of the twentieth century's greatest philosophers. 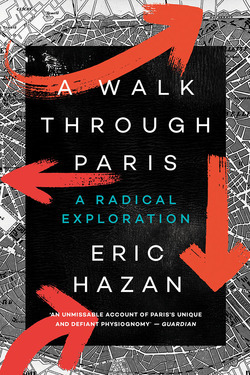 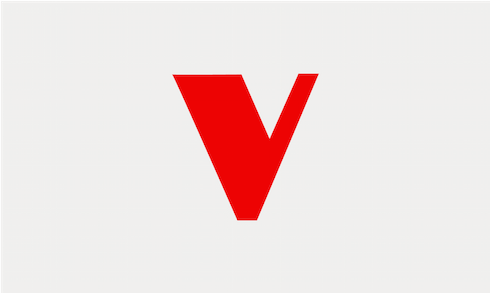 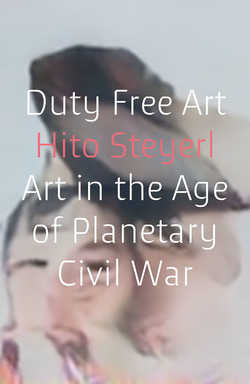 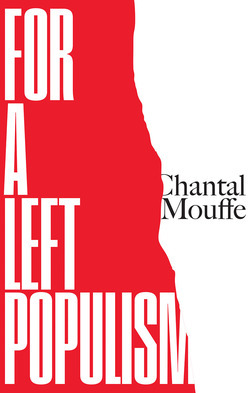 Written at the birth of post-war consumerism, the Critique was a philosophical inspiration for the 1968 student revolution in France and is considered to be the founding text of all that we know as cultural studies, as well as a major influence on the fields of contemporary philosophy, geography, sociology, architecture, political theory and urbanism. 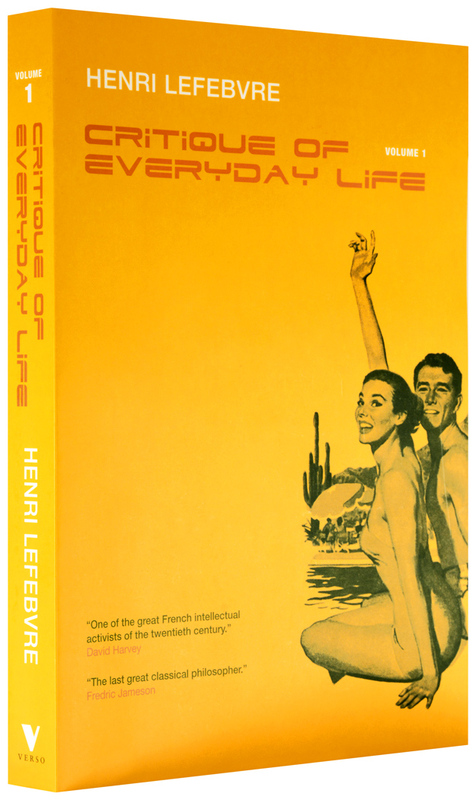 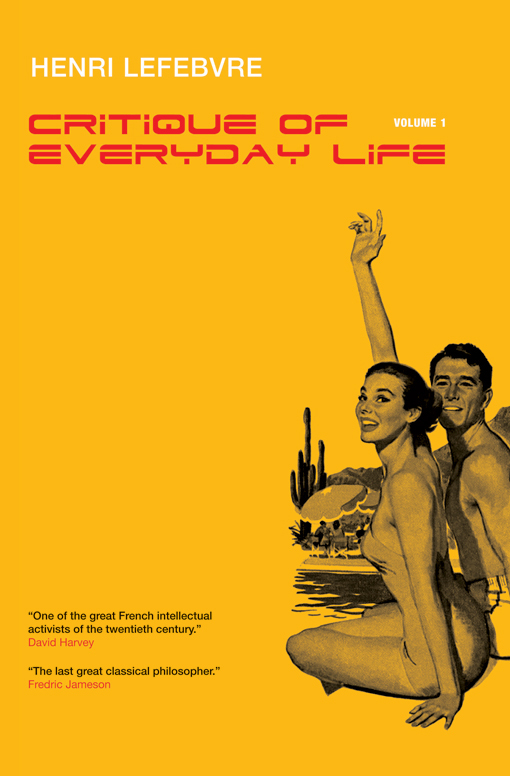 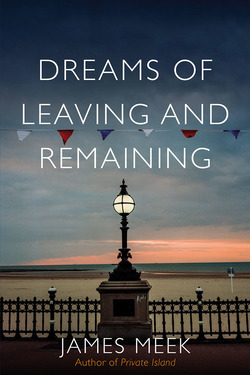 A work of enormous range and subtlety, Lefebvre takes as his starting-point and guide the "trivial" details of quotidian experience: an experience colonized by the commodity, shadowed by inauthenticity, yet one which remains the only source of resistance and change. 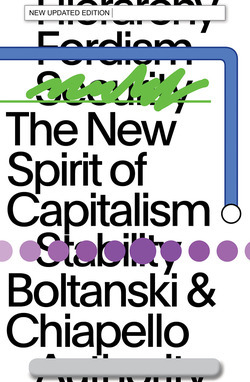 "Totality for Beginners" and a Situationist competition!